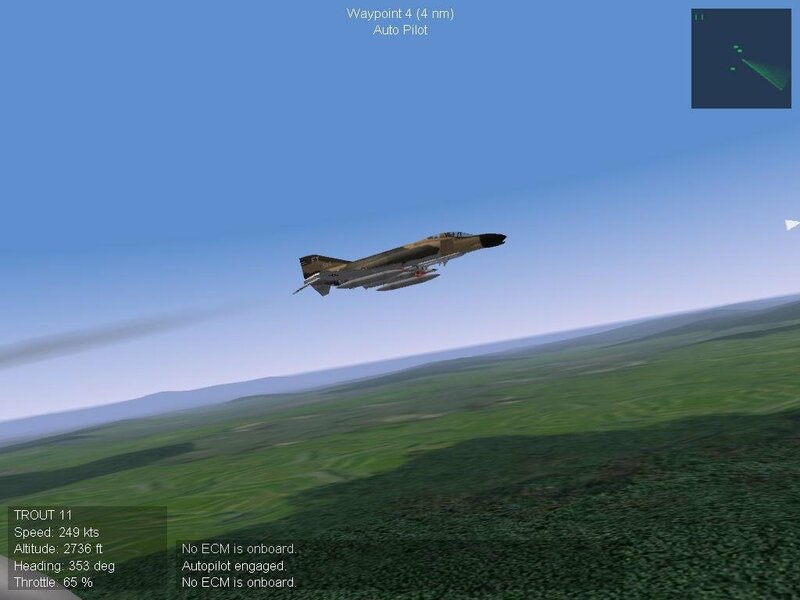 The Vietnam War was full of controversy, but it was also a pivotal period in the evolution of aerial combat. 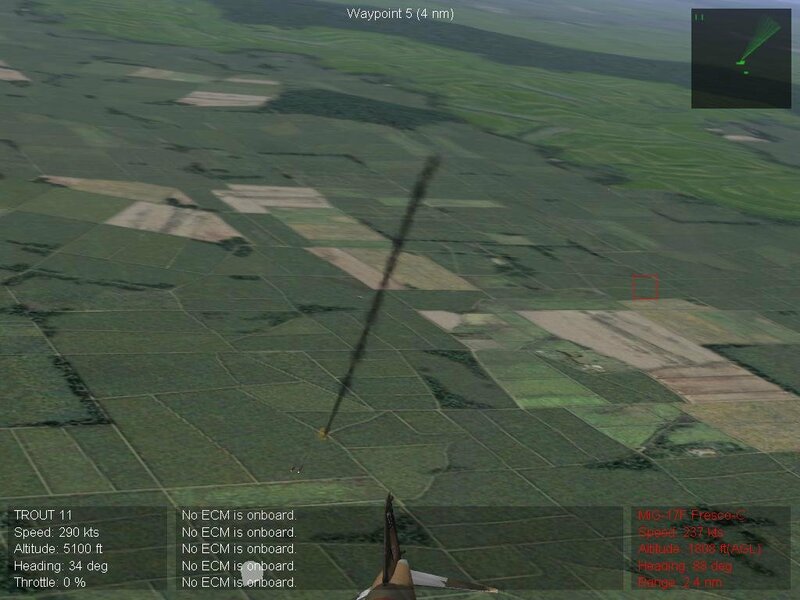 Just as the Korean War saw the move from propeller-based aircraft to jets, Vietnam marked the transition from guns to missiles as the primary air-to-air weaponry, as well as a major shift in overall air war strategy and tactics. 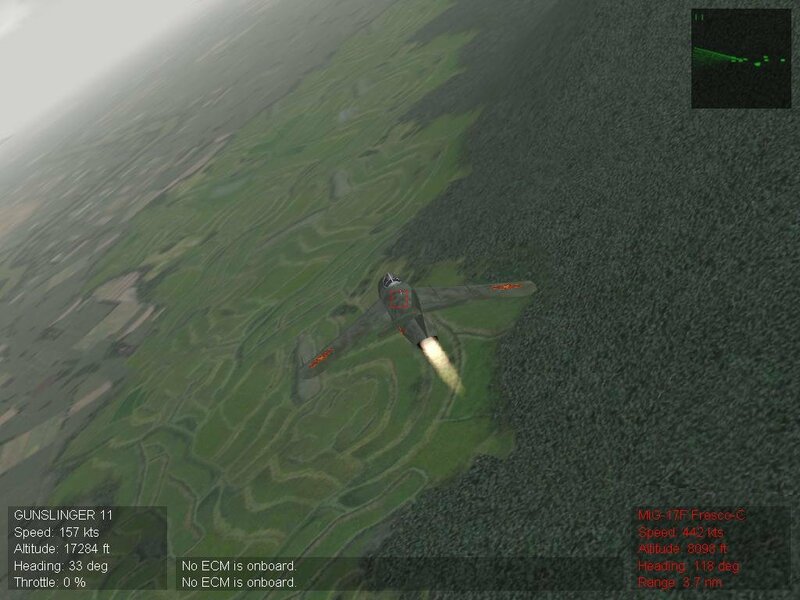 However, it has been a neglected venue for flight sims, a gap that Third Wire fills with Wings Over Vietnam, the developer’s follow-up to Strike Fighter: Project 1 (which it greatly resembles). 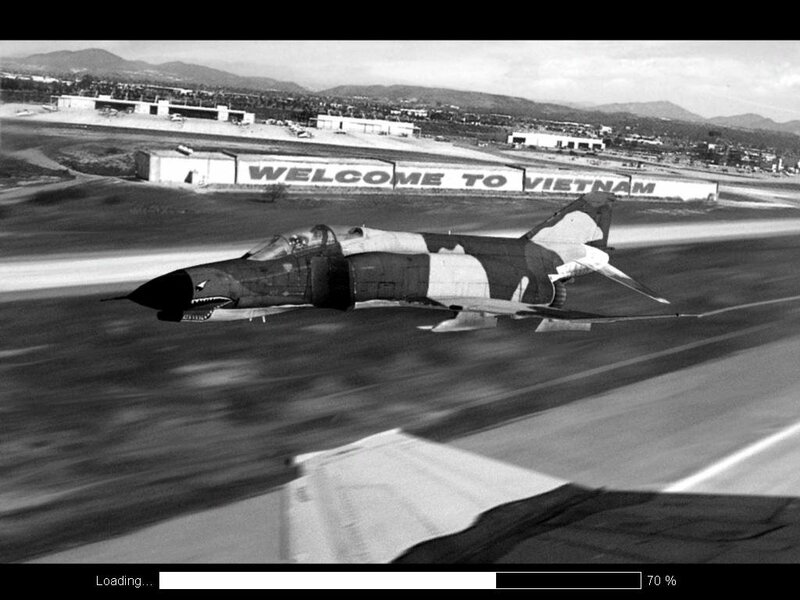 Wings Over Vietnam puts you in the cockpit of the American fighters and fighter/bombers of the conflict, including the F-105 Thunderchief, F-4 Phantom, A-4 Skyhawk, A-6 Intruder, A-7 Corsair, F-8E Crusader, and even the old F-100 Super Sabre, flying in single missions or campaigns in the service of the U.S. Air Force, Marines, or Navy. 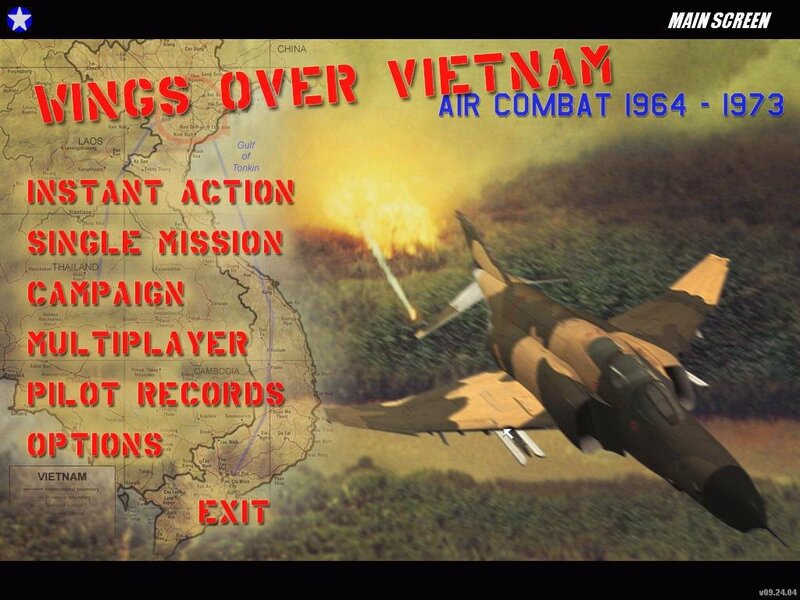 You can’t fly any of the North Vietnamese aircraft in single-player mode, though they are available in multiplayer. The aircraft graphics are very nice, with a wide variety of camouflage and weathered paint schemes, and authentic squadron markings. 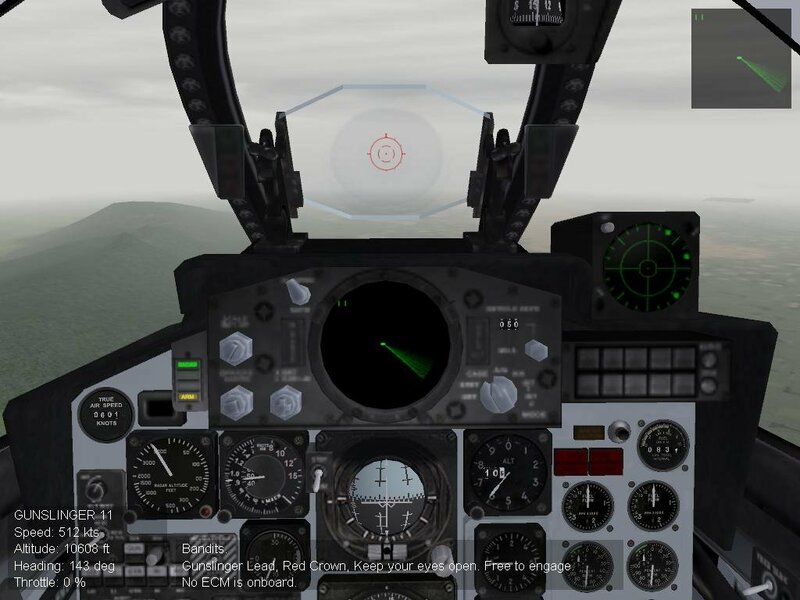 The cockpits are merely okay, and the terrain and ground graphics are sparse, featureless, and relatively primitive for a modern sim. 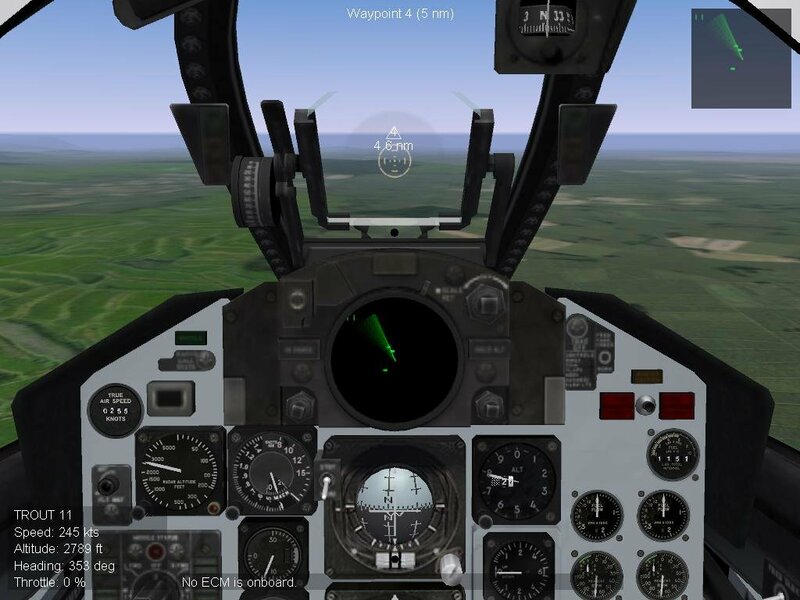 Sound is “good enough” in terms of engines and weapons, but the radio chatter is useless due to a lack of specificity: i.e., you hear screams of “SAM launch!” but nothing that tells you whether it’s your wingman warning you or someone miles away making the call. 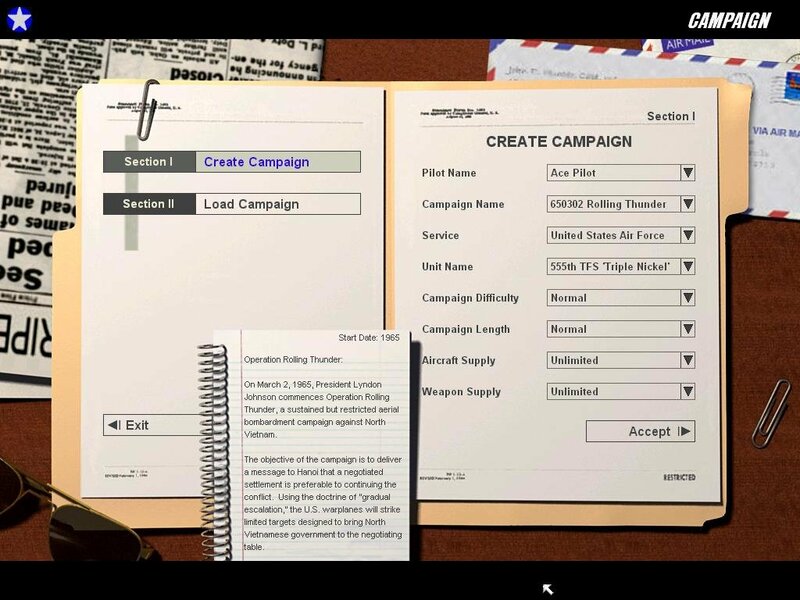 The mission briefings are too brief, with few details. 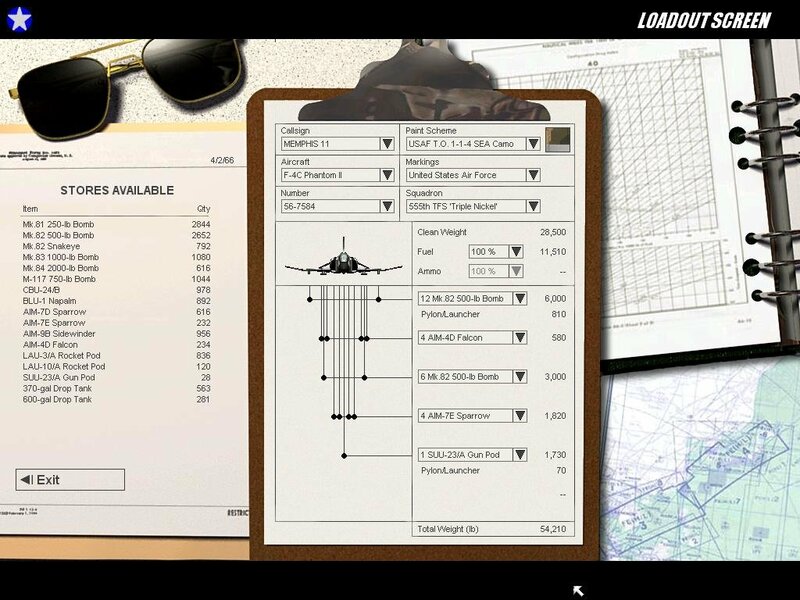 While you can see other sorties in the briefing map screen, there’s no indication of their missions or how the flights are coordinated. 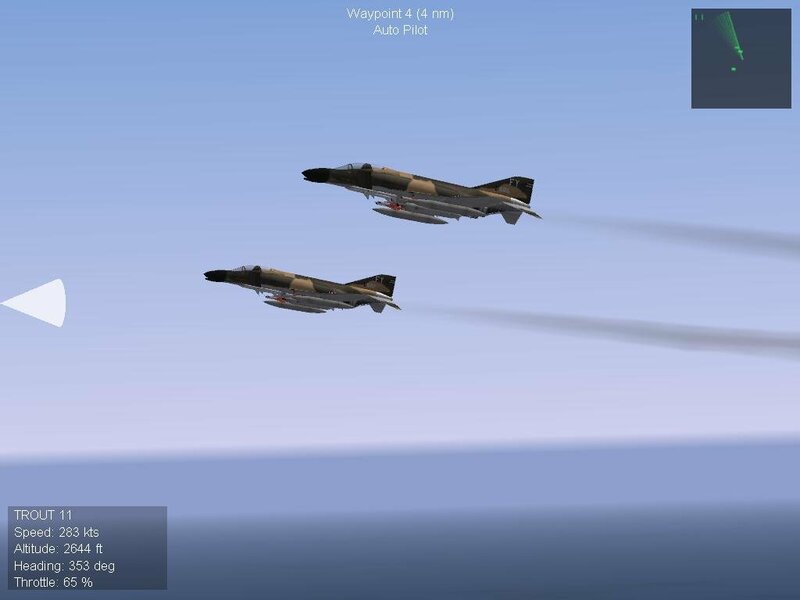 However, flying the actual missions is quite entertaining, with the aircraft approximating the strengths and weaknesses of their real-life counterparts. 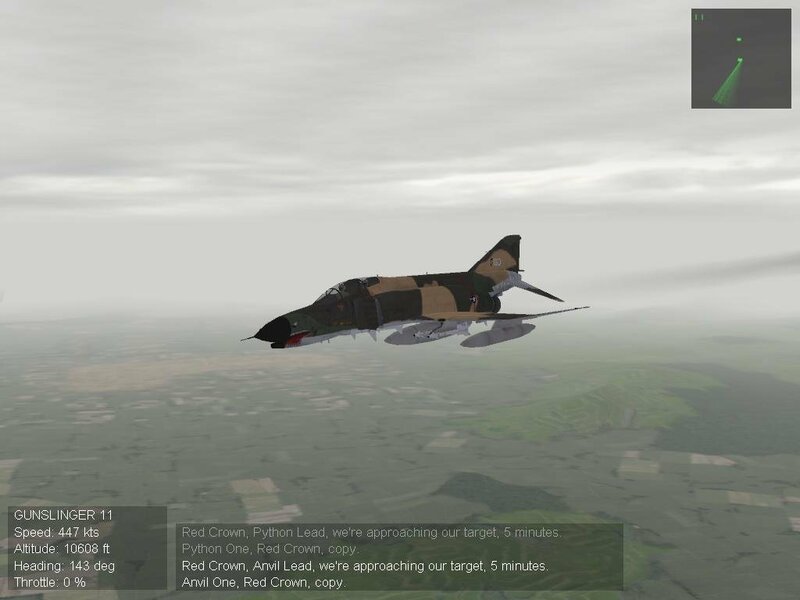 In other words, trying to engage in a turning fight in a Phantom against a MiG is a quick ticket to a parachute ride. 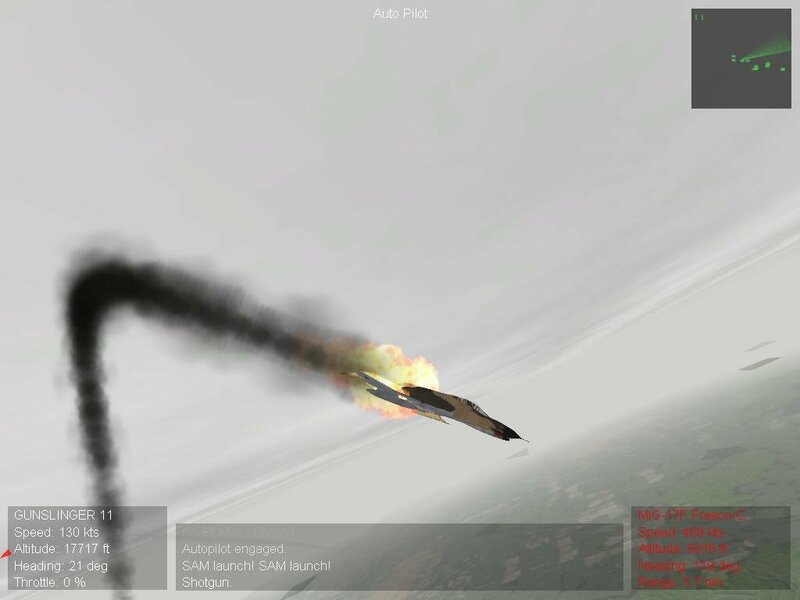 Ground strikes are intense and dangerous, with blankets of AA fire and swarms of SAMs. The SAMs are a problem beyond the realistic threat they provided for real-life pilots, for two reasons. 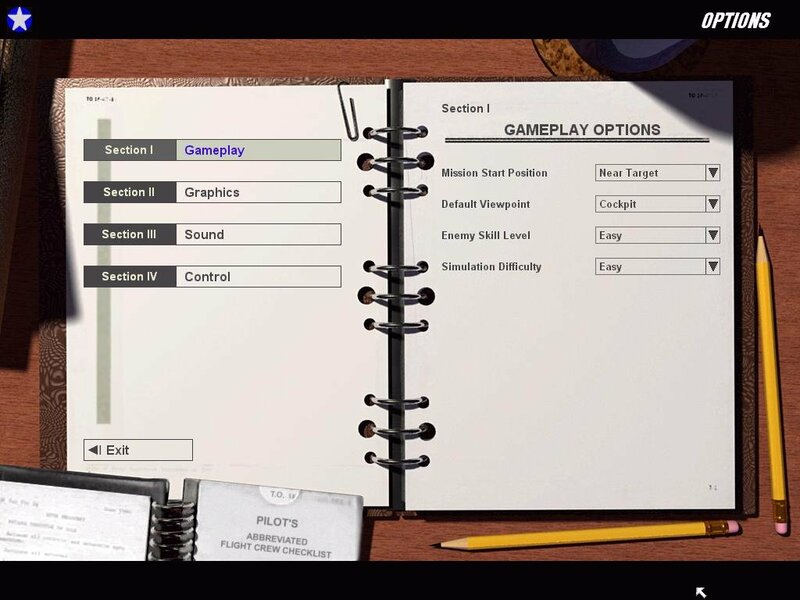 First, you can have more SAMs fired at you in a single mission than most actual Vietnam pilots had to evade in months, but more problematic is that there is no way to simply padlock a SAM in order to use realistic evasion tactics, which is a serious omission considering the viewing limitations of a monitor vs. a cockpit. 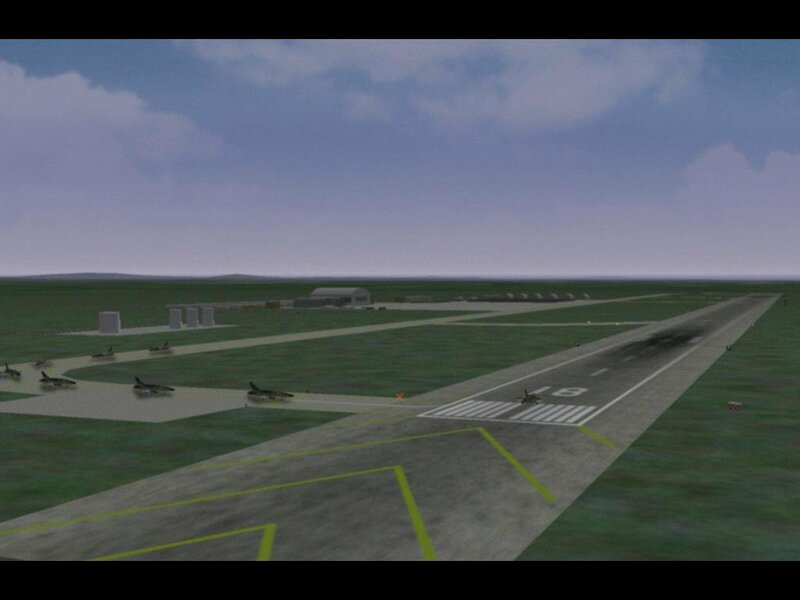 The AI is sometimes clever and challenging, but often so dumb you wonder how they got off the tarmac. For example, some enemy pilots hand you your jockeys while others blithely fly in a straight line while you pepper them with gunfire. 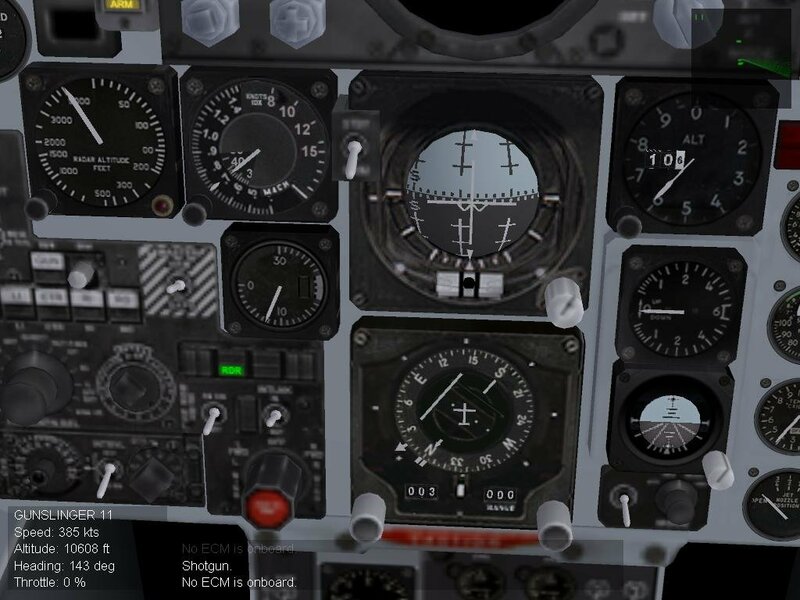 Your own pilots will often follow your orders effectively, while on other occasions turn a completely deaf ear. 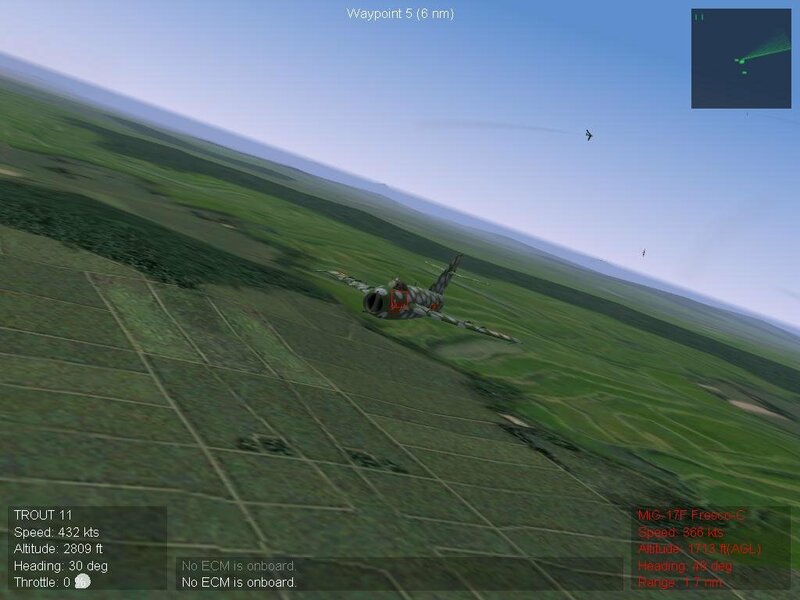 Even with its shortcomings, Wings over Vietnam provides some exciting moments. 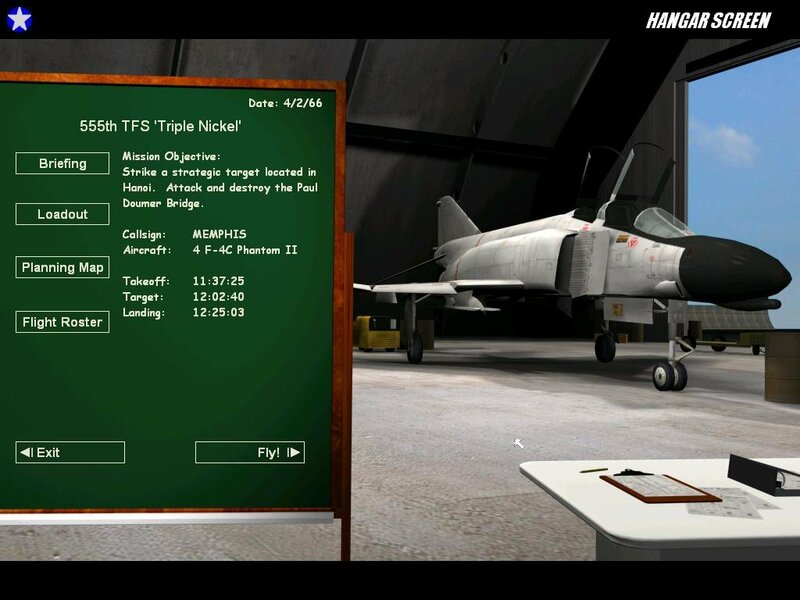 If you’re a real flight sim fanatic, this is the only retail sim that allows you to get a taste of what it was like to fly the harrowing missions of, say, a Thud pilot tasked with going “downtown” Hanoi, or an Intruder pilot flying off of “Yankee Station.” If you need a Vietnam War air combat fix, or just want a taste of some legendary aircraft that aren’t available in other sims, the best advice is to give Wings Over Vietnam a try and keep your eyes out on the forums for the inevitable patches and user mods.